This letter is from G.W. 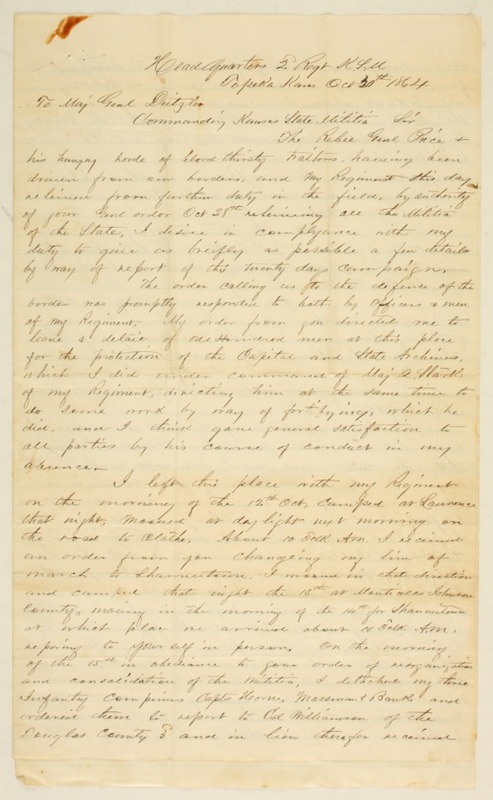 Veale to General George W. Dietzler, Commander of the Kansas State Militia. Veale, who was colonel of the Second Kansas Militia, recounts his role and his regiments, in the Battle of the Blue. He wrote the letter from the headquarters of the 2nd Regiment, Kansas State Militia, in Topeka, Kansas. People - Notable Kansans - Deitzler, George W.